In the autumn of 1920 at a round table conference in Brooklyn, a group of Congregationalist leaders came together at the request of the New York Congregational Conference to discuss the possibility of organizing a congregational church in Harlem. The Rev. Alexandar C. Garner was invited to attend this meeting to share in the discussion and help consider the feasibility of the idea. in June 1921, after several meeting of the Group, Rev. Garner was called from Plymouth Congregational Church in Washington, D.C. to accept the responsibility of gathering members, organizing them and developing a congregational church. There was no building in which to worship, no program was suggested, but there were about 30 persons willing to start the project with Rev. Garner as the leader. Through the courtesy of the staff of the 137th street YMCA the group held their early meetings in the auditorium – Later securing the present church edifice (310W 139th Street, NY New York, 10030). While this is the beginning of Grace Congregational Church of Harlem, it was not however, the beginning of Congregationalism in Harlem. Rev Joseph Holder ministered the Latter Day Church (Congregational Church) in the building at 250 West 136th Street (which later became the parsonage of Grace Church) from 1912-1921 until he retired and returned to his native British Guiana. After a time the two groups merged, demonstrating what Rev. Garner called the finest example of self surrender on the part of the earlier group in the interest of a stronger position for the church. 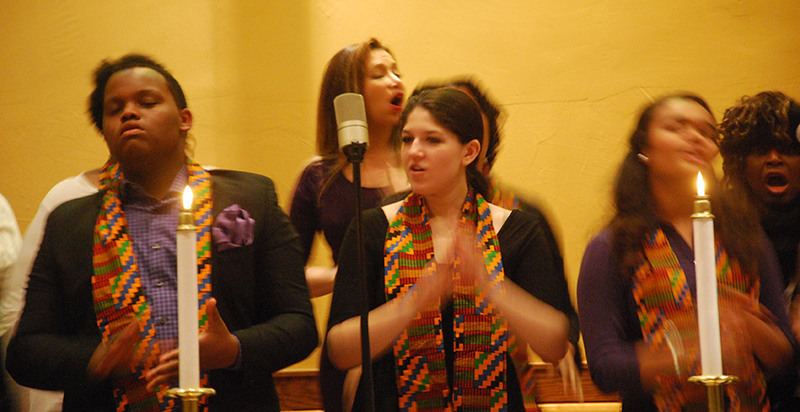 The name chosen for the merged body was The Grace Congregational Church of Harlem. The Rev Alexander C. Garner, D.D. Alexander C. Garner was ordained in the First Congregational Church of Chicago. He held many offices of distinction in the denomination and the community. The Doctorate of Divinity was conferred upon him by Howard University, Washington D.C. in June 1908. Being commissioned by New York State Conference of Congregational Churches to establish Grace Church; He became thus its founder, organizer, teacher and first pastor. Many of the ministers that followed had their Doctorate from Harvard or Yale. This would is unique among black churches in Harlem to have such highly educated ministers consistently in the pulpit. Grace Congregational Church is the third occupant of the Romanesque building which was designed and built in 1892 by Joseph Ireland as Lenox Presbyterian Church. In 1905, the Presbyterians moved to what is now St. James Presbyterian Church on 141st Street and St. Nicholas Avenue, and Swedish Immanuel Congregational Church took possession of the building. 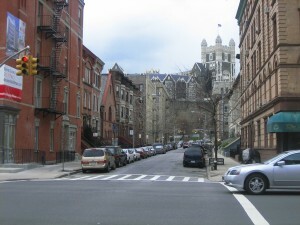 In 1923, Grace Congregational Church of Harlem, along with the Harlem Congregational Church of West 138 Street, moved into the present building.